Simple charm and beauty. 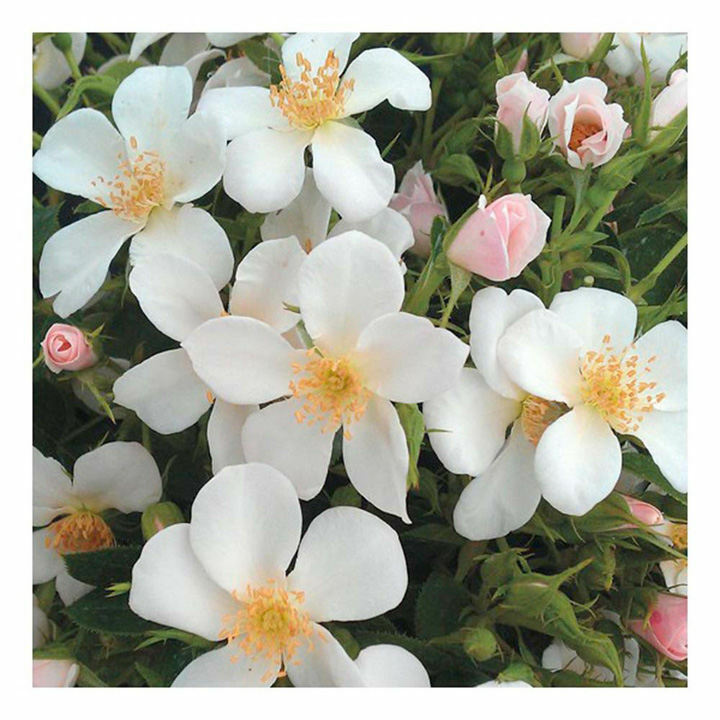 A patio & border shrub with pink buds that open to 5 white petals with yellow centre. Masses of blooms all summer. For group planting, borders & cutting. Scent 2. Colour - white. Flower diameter 4cm. Height 60cm; spread 60cm. Patio variety.